The “war on consciousness” extends to children, through education by training future generations of affluent professionals to believe in, and work towards, “world peace”. This world peace training program is a “world school” called International Baccalaureate(IB). IB is funded by the super-rich of the world, and its goal is to make a better world by training its students to be “global citizens”. The IB is more than its educational programmes and certificates. At our heart we are motivated by a mission to create a better world through education. We value our hard earned reputation for quality, for high standards and for pedagogical leadership. We achieve our goals by working with partners and by actively involving our stakeholders, particularly teachers. We promote intercultural understanding and respect, not as an alternative to a sense of cultural and national identity, but as an essential part of life in the 21st century. All of this is captured in our mission statement. Marie-Thérèse Maurette created the framework for what would eventually become the IB Diploma Programme in 1948 when she wrote Is There a Way of Teaching for Peace?, a handbook for UNESCO. In the mid-1960s, a group of teachers from the International School of Geneva (Ecolint) created the International Schools Examinations Syndicate (ISES), which would later become the International Baccalaureate Organization (IBO). 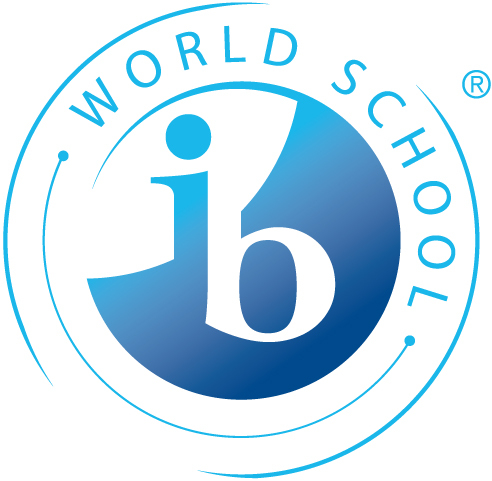 The IB headquarters were officially established in Geneva, Switzerland, in 1968 for the development and maintenance of the Diploma Programme which would “provide an internationally acceptable university admissions qualification suitable for the growing mobile population of young people whose parents were part of the world of diplomacy, international and multi-national organizations,” and offer internationally standardized courses and assessments for students ages 16 to 19. International Baccalaureate North America (IBNA) was established in 1975, by Peter Nehr, International Baccalaureate Africa, Europe and Middle-East (IBAEM) was established in 1986, and International Baccalaureate Asia Pacific (IBAP) established during the same period. The IB is a non-governmental organization (NGO) of UNESCO and has collaborative relationships with the Council of Europe and the Organisation Internationale de la Francophonie (OIF). The IB’s alliance with UNESCO encourages the integration of its educational goals into the IB curriculum. In 2003, the IB established the IB Fund, incorporated in the United States, for the purpose of enhancing fundraising and keeping funds raised separate from operational funds. In 2004, the IB approved a strategic plan to “ensure that programmes and services are of the highest quality” and “to provide access to people who are socio-economically disadvantaged.” The United States has the largest number of IB programmes (1,477 out of 3,998) offered in both private and public schools. In the United Kingdom in 2006, government ministers provided funding so that “every local authority in England could have at least one centre offering sixth-formers the chance to do the IB.” In 2008, due to the devaluing of the A-Levels and an increase in the number of students taking the IB exams, then-Children’s Secretary Ed Balls abandoned a “flagship Tony Blair pledge to allow children in all areas to study IB.” Fears of a “two-tier” education system further dividing education between the rich and the poor emerged as the growth in IB is driven by private schools and sixth-form colleges. The following video shows that the super-rich has influenced the education of the western world for about the last one hundred years for the purpose of global governance. World peace and security are the marching words for global governance. It is deception for the world that will lead to sudden destruction. The concept for world peace and security appears as appealing, and noble, to the unsuspecting, but it will only lead to a great disappointment, and tribulation, for the world, just as the word of God foretold. Indoctrinating the world’s youth into this beautiful, and horrible lie, is a cruel deception by the rider on the white horse, which is tyranny, false christs, and false prophets, all claiming to bring good will (Revelation 6:1-2, Matthew 24-4-12). Our command from God is not to facilitate world peace, but to preach the gospel to the lost, so that they will be saved from the wrath of God, who is not desiring anyone’s destruction, but instead, longs for the salvation of everyone.